I will soon sign the 2017 budget into law – Osinbajo – Royal Times of Nigeria. 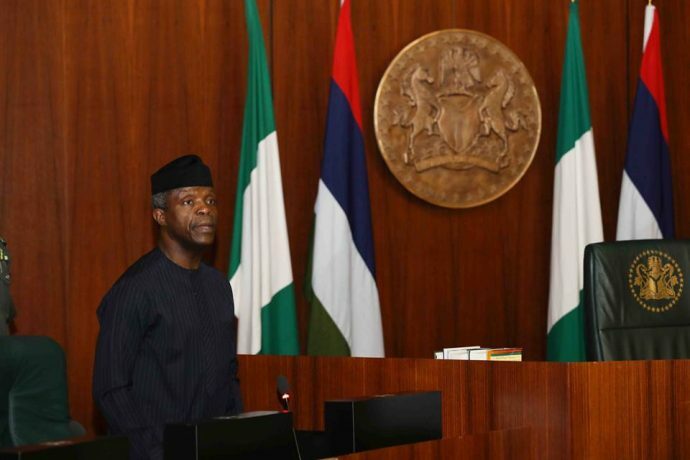 Acting President Yemi Osinbajo has hinted that the 2017 budget will soon be signed. He gave the hint in his nationwide broadcast commemorating the country’s Democracy Day and the second anniversary of the present administration on Monday. He said the implementation of the 2017 budget would help the ongoing economic recovery.